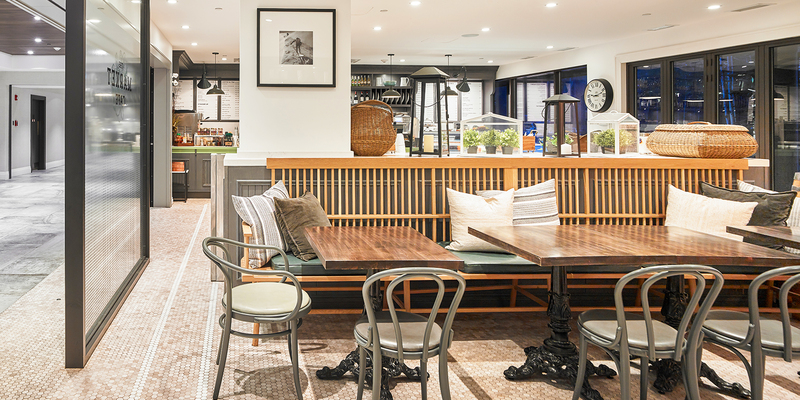 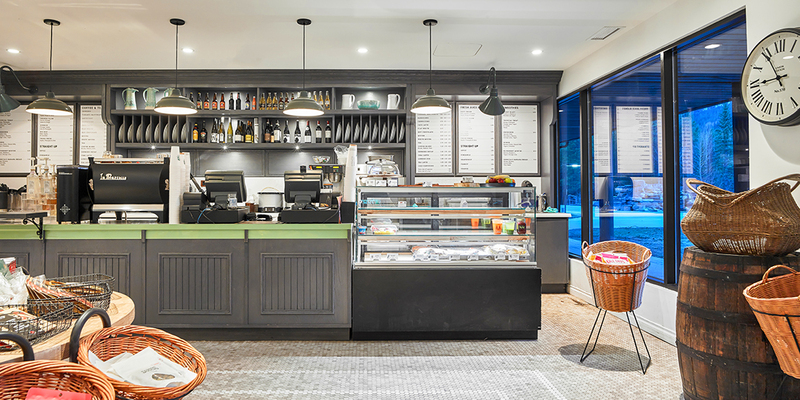 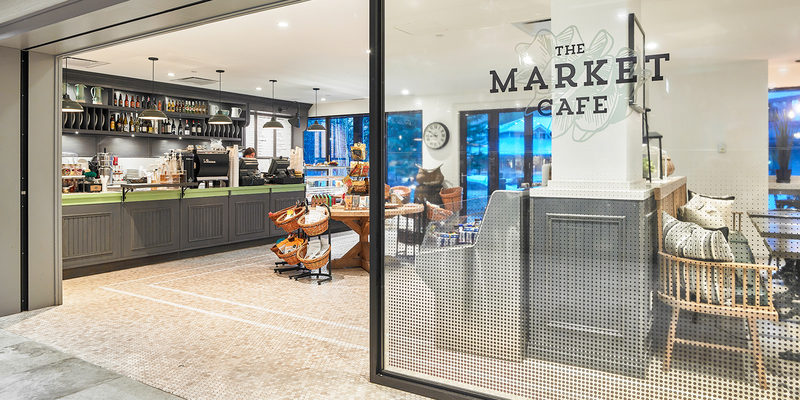 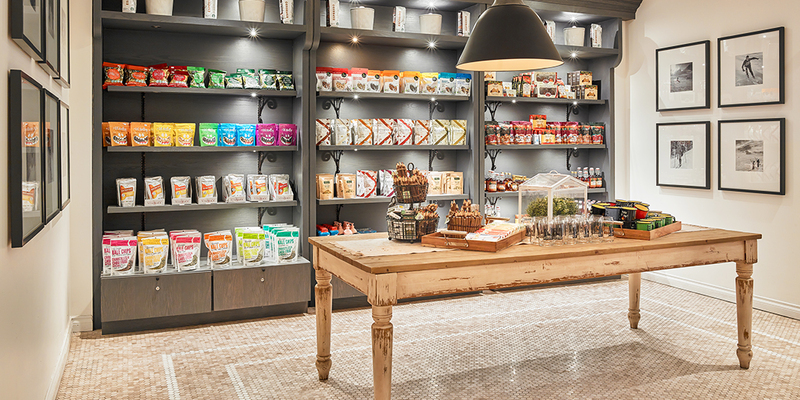 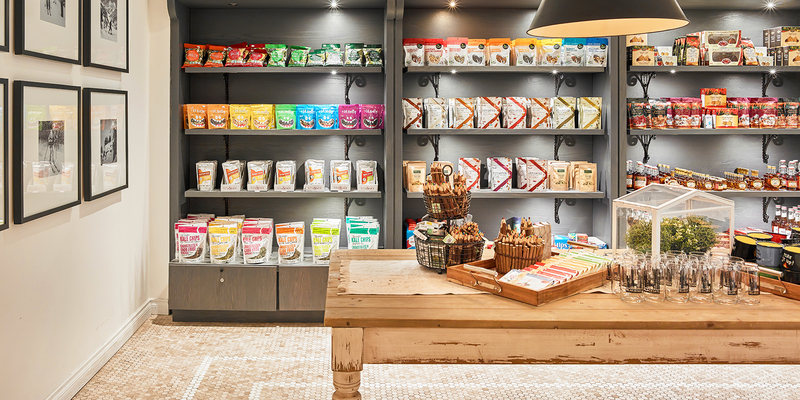 Market Cafe is a boutique throughway from hotel to outdoors providing fresh grab & go options, premium coffee, ice-cream, and lunch baskets for hotel guests embarking on daily adventures throughout the Kananaskis region. 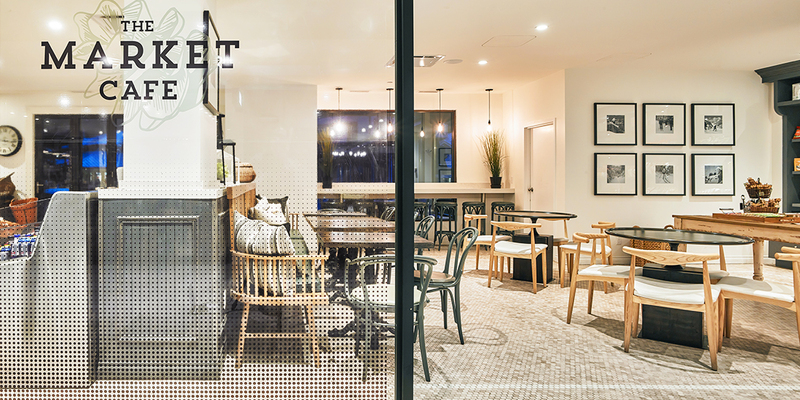 The interior is marked by a neutral palette with hues of mint and greys. 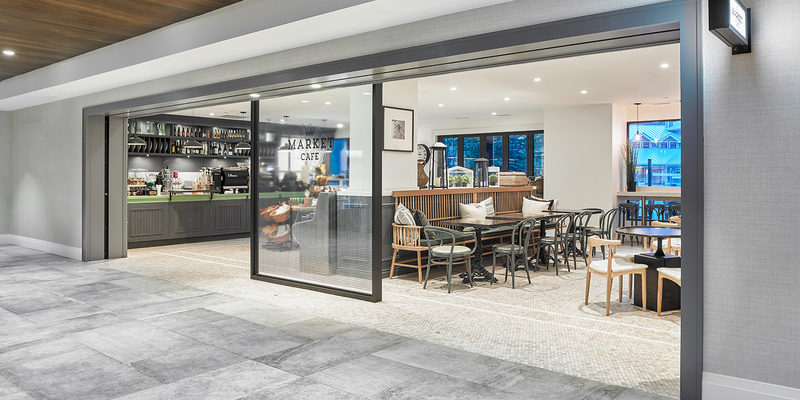 Marble mosaic inlay flooring is balanced with warm undertones of walnut furniture, complemented by carefully curated contemporary black and white photography.